Before reinventing themselves as some sort of baggy/indie crossover stars with 1990's Lovegod album, The Soup Dragons were one more band off the indie production line that comes out of Glasgow and has produced such luminaries as the BMX Bandits and Teenage Fanclub. 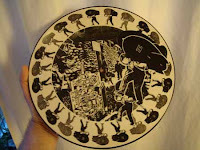 In the mid- to late-1980s The Soup Dragons were knocking out Peel-friendly indie of the sort featured here - Soup Dragons - The Majestic Head (and I think I'm right in saying this is the first picture disc featured). It was only with the release of their third album that they went all I'm Free; at much the same time that Scottish chums Primal Scream were also leaving their rock roots behind and experimenting with ecstacy-fuelled indie dance. And in the same way that the Happy Mondays "covered" Step On, I'm Free, a danced-up cover of a 1965 Rolling Stones song, brought the Soup Dragons fame and fortune. Anyway, today's post is to celebrate the 'original' Soup Dragons, the band that recorded Peel Sessions and made it into the 1986 Festive Fifty. Twice. For more detail, the Trouser Press biography is the page you want to read and This Is Our Art , the album of the mp3 above, was recently re-released for you to enjoy the first incarnation of the band, before digging out the flares and the hooded Inspiral Carpets tops and shuffling around the house like it was 1990 all over again..
For the second offering of double-request-post Wednesday, we're going to go with a band that again I'm a bit short of information about: The Prudes. From Last.fm we know they were formed by Bradleigh Smith and Pete Ellis in 1987. 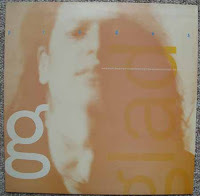 They recorded 5 singles and an album (Designer Karma) on Imaginary Records and from the bit my chum Gareth remembers, Bradleigh and Terry Bickers from the House of Love covered the Velvet Underground's "I'm set free" on the early 90s compilation album "Heaven & Hell". They also may have recorded a Peel Session. So, once more it's a call for information, know anything about The Prudes? While you rummage through the loft of memory, have a listen to The Prudes - Glad, it's really rather good. It's double-request-post Wednesday today. Starting off with Salad, another band with that indiest of things, an attractive lady singer. Formed in 1992, the band consisted of Dutch vocalist/keyboardist Marijne van der Vlugt, bassist Pete Brown, drummer Rob Wakeman (not Rick Wakeman as it took me three goes to work out) and guitarist Paul Kennedy. The band were bulked up for live outings by Charley Stone (latterly of Gay Dad). "released three full-length [albums] - 1995's Drink Me, the same year's Singles Bar, and 1997's Icecream - before breaking up in the late '90s. Despite being part of the Britpop scene in terms of sound, they never quite received the same amount of attention given to their peers." 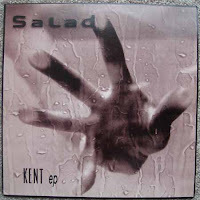 And they certainly don't; this offering Salad - Kent is a cracking bit of swirly-waily indie pop. And it's a great addition to this place. First off, an apology, it's been a busy few weeks at Because Midway Still... towers and I've got a backlog of stuff to put on. And to be honest, I'm more than happy that I can finally get round to putting Mega City Four on; they've been a glaring omission for a long time now. I don't think I'd be alone in saying that I loved Mega City Four. They were a fantstic band and part of indie royalty. They released huge amounts of music and toured extensively and continuously with Midway Still, Ned's, Carter, Senseless Things and countless other indie bands that we all know and love. Part of the reason I do this is to link together all the bands that, although they may not have had massive financial and popular success in the hit parade and on Radio 1, they really did influence so many of us to grow our hair stupidly and wear ridiculous shorts. Oh, and to really, really love music. "The long-running alternative rock band the Mega City Four had been together for over a decade when they broke up in early 1996. Formed in the mid-'80s in Farmborough, England, the band consisted of guitarist/vocalist Wiz, bassist/vocalist Gerry Bryant, rhythm guitarist/vocalist Danny Brown, and drummer Chris Jones. Aside from the studio LPs Tranzophobia (1989), Who Cares Wins (1990), Terribly Sorry Bob (1991), Sebastopol Rd. (1992), Magic Bullets (1994), and Soulscraper (1996), the band also tallied a live LP, a Peel Sessions disc, and an impressive number of singles"
Of course, we know that Wiz sadly died in December 2006; the official Mega City Four page, although not as up to date as some fan pages, will keep you abreast of any news and there's a good myspace page for the band and as a tribute to Wiz as well. For the mp3, why not enjoy 1988's second single Mega City Four - Clear Blue Sky, it's a cracking bit of early indie rock and roll and should hopefully more than make up for leaving them out until now.